We were recommended to go check out King of Floors because they have a huge selection and their prices are reasonable. We were not disappointed. They even had a clearance section where the prices were below what I had expected. We ended up going with engineered maple hardwood from the clearance section and paid less than what we expected to pay. Would highly recommend this place. My husband and I used this business for our laminate flooring installation we completed last fall for our main floor in our townhome. We found that they had very competitive pricing, and ordering the product was easy to do with them. They had quite the selection on hand and were available to answer my phone questions. I was recently in the market for laminate floors for my basement and stumbled upon the King of Floors in the phone book. I loved their large selction of colours and styles and their knowledgeable personnel who helped me select the type of floor that best suited my needs. They helped match the flooring to other colours in my home and gave me all the information that I needed to do the installation myself. One big project in my home was changing old dark outdated carpet to modern laminate floors. I dealt with King of Floors for this purchase and was very pleased. As we installed the product ourselves, they gave us the advice we needed and gave us all the detailed information on the product that we required. The made recommendations for putting it in the kitchen (ie. to ensure we were sealed from spills). Also, when I needed more product at a later date, they helped match to the sample that I already had. Chose the King of Floors based on price. He was about 2 dollars a square cheaper than any local source and even with shipping to the island I saved a bundle. We contacted them for samples and they mailed them over in a couple of days. We will be checking with them again for our next project for sure. Thet have a good selection of products (hardwood floor, engineered flooring and laminate. Good pricing for all products. The gentleman who helped us was knowledgeable and very helpful. Would recommend this place to anyone who is interested in looking at flooring. After going to several stores to see if I could do the flooring myself, I found myself at King of Floors - yes I could they told me, if I could follow the directions on the box. I tried doing the bedroom (12 x 21 ft) and then did the den (6 x 10). They were more than helpful, extremely patient, and when I emailed them about the excess laminate cartons, was called within hours about how they could take some (still in stock) but not others as they no longer carried the item. Not a problem as this had been an ongoing project for more than 8 months. The fact that I am female, in my 60s and slightly disabled did not bother any of the staff, which I hate to say, was not the way it was in other stores. Went to the king of floors because I was looking for value on a floor that I could install myself. I was disappointed that the prices advertised on the website were a bit misleading ($1.99 for bamboo hardwood only applied to one color and there was a min amount to take). Nevertheless, I found something within my budget that was nice and it was easy to install. The sales people are very nice and knowledgable. The staff at king of floors were extremely helpful in assisting us select floors that met our style and were very generous in giving us the best deal ever. We saved almost half of the retail price by purchasing a large quantity. They were great. Decided to buy laminate and visited a few stores. The king had the most diverse choice, had friendly and knowledgeable staff and prices are very competitive. A very positive experience. King of Floors is 100% locally owned and operated and has been flooring homes in the western Canada since 1985. We travel the world over and buy factory direct so that we can pass the savings directly onto you. With our 85 thousand square foot warehouse and showroom we have all our products under one roof. 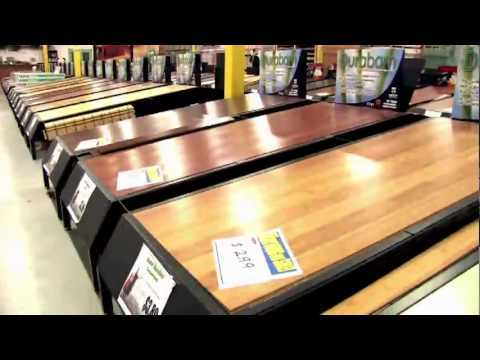 King of Floors has the largest selection of laminate, hardwood, engineered, and bamboo floors in the lower mainland and our sales staff have over 90 years experience combined so we can help you find the right product at the right price. Before you buy anywhere else, make sure you visit The King of Floors.